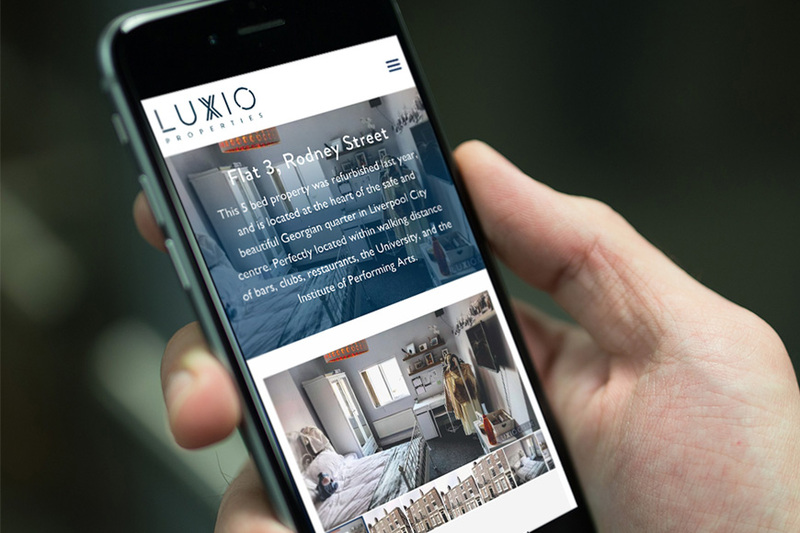 Luxio (or Aftica, as they were once known), came to us wanting an entire rebrand as well as a new site to showcase their student property luxury renovations and lettings business. 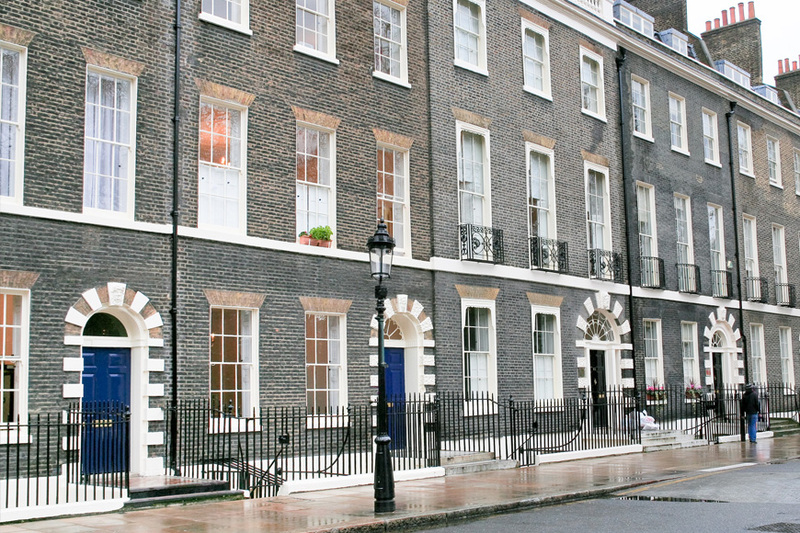 Their aim was to get potential customers to view homes and get in touch at the click of a button. The branding and site had to appeal to students (and their parents!) while still looking professional and trustworthy. 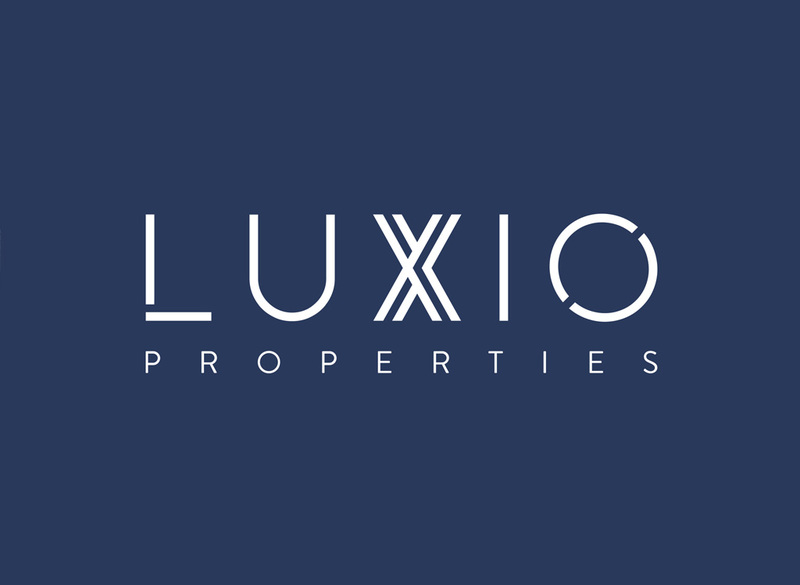 We came up with a new brand name, Luxio, which represents the client’s high-end renovations. The navy blue and soft grey colour palette, as well as lots of whitespace, creates a sense of luxury. 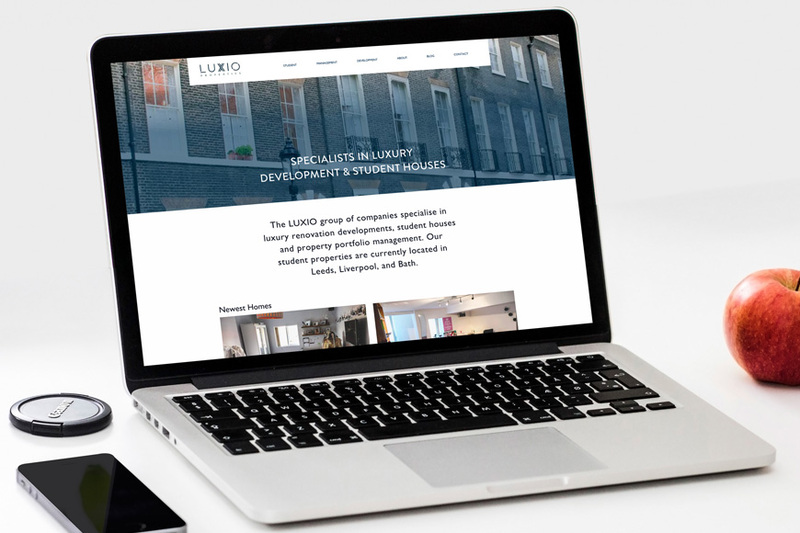 The subtle pattern that evolved from the logo adds a bit of detail to their website and is used across their business stationery. Great imagery is what makes anyone first fall for a house. 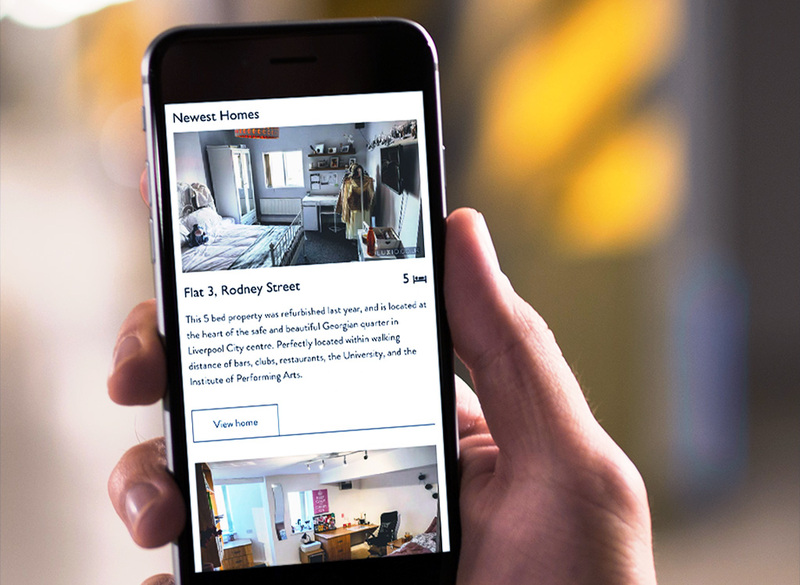 We installed a beautiful image gallery plugin, so prospective tenants and homeowners can flick through Luxio’s property and renovation photographs easily, on desktop, tablet and mobile devices. 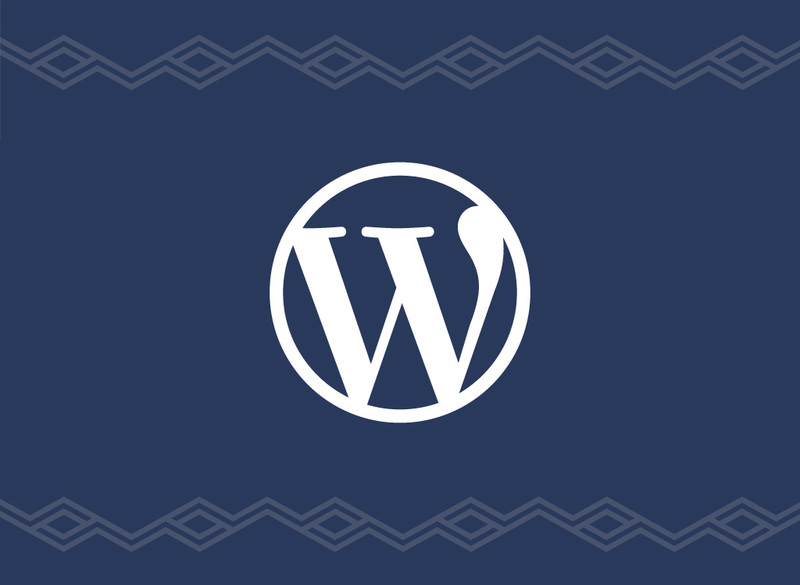 WordPress has a super simple and easy to use content management system. This makes the input and organisation of content speedy, with minimal fuss. 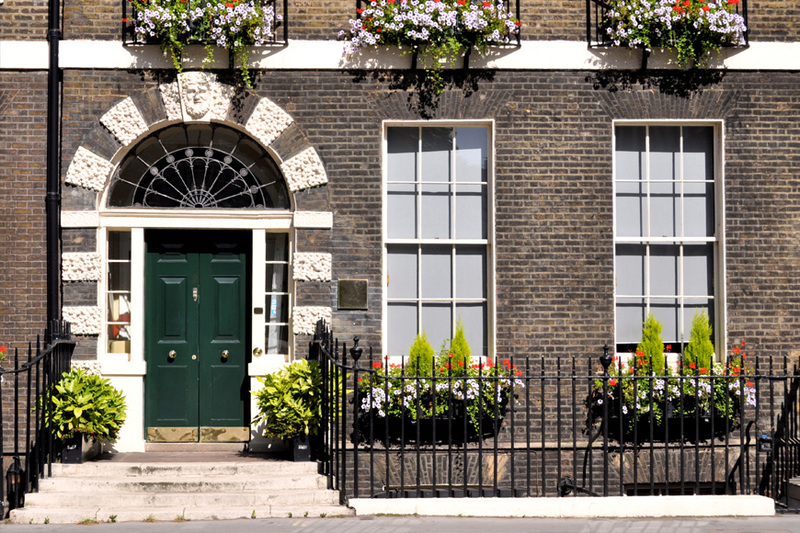 They can also change the status of their properties between Let, Let Agreed, and To Let with a click of a button, even when they’re busy renovating their properties! Luxury properties deserve to be shown off with great photography, so we made sure imagery was at the forefront of design. 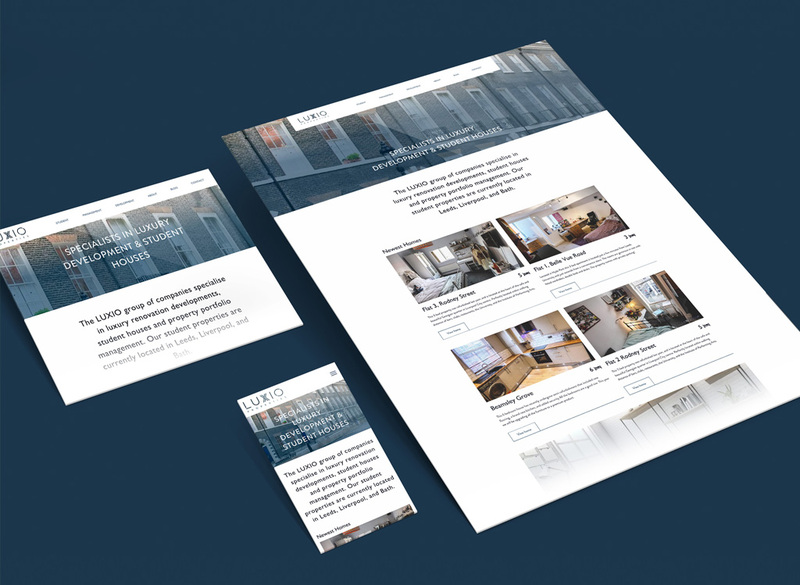 To emulate their sophisticated student homes, we designed the site with a clean layout that made sure the student houses really shine. The website had to look professional, not only to attract students, but also to put parents’ minds at ease. 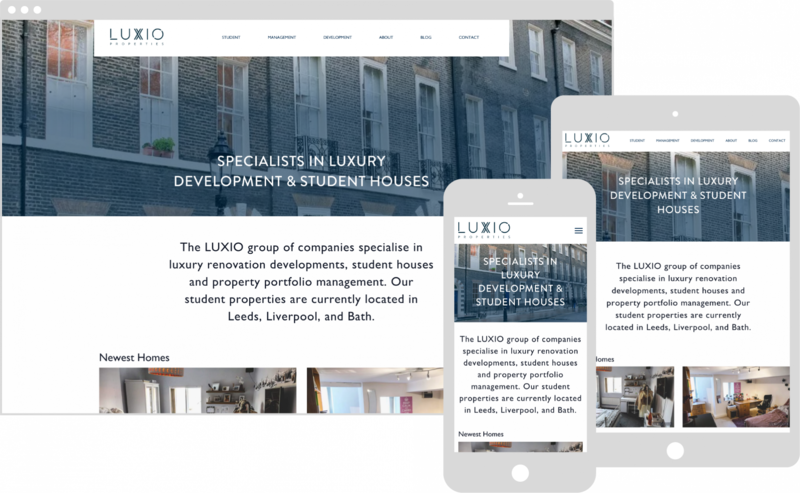 Luxio wanted quicker, more reliable, and easier to manage email handling, so we gave them Mailgun and integrated it with their site. 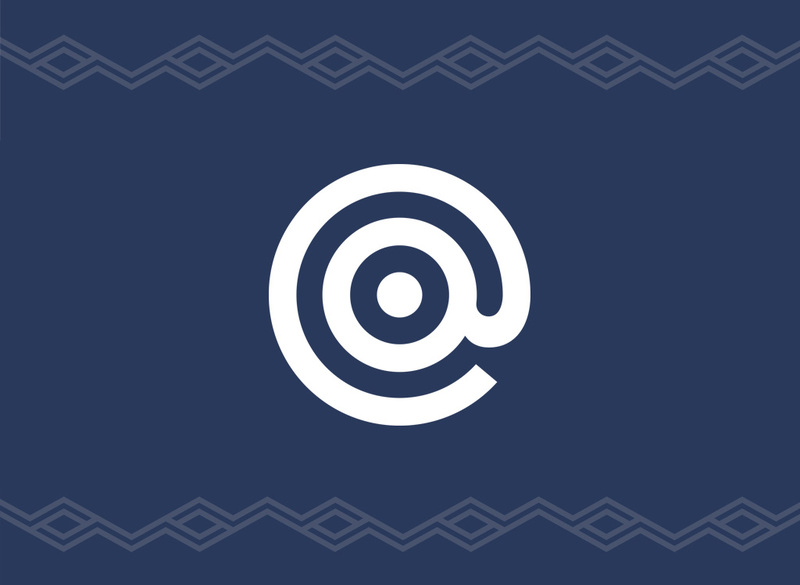 Mailgun will give them a way of sending out emails to a curated prospect and customer list, it also has excellent logging capabilities for Luxio to keep on track of any missed emails.